Sometimes it takes genuine injustice to put things in perspective. I was recently reminded of this during my clash with a prominent floral service that failed to deliver a chocolates order on Valentine’s Day … and the next day … and the next day … and as I write this opening paragraph. Nobody likes having their money held hostage. But, again, perspective has humbled my rage about the incident.So begins the story of Marine Staff Sergeant Brandon Parsons and his role in one of the most baffling legal debacles in the history of paternity cases. 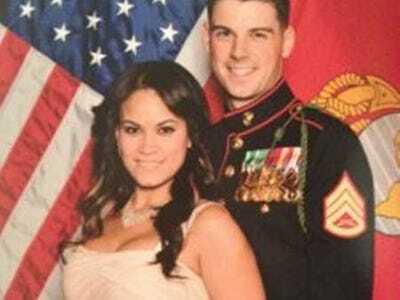 After completing his first combat deployment in the Spring of 2005—of which he spent the majority of time fighting in Ramadi, Iraq—SSgt Parsons, then a 20-year old corporal, returned to Marine Corps Base Camp Pendleton and immediately began a sexual relationship with his then-fiancé, Crystal Domenech. Their first sexual encounter was, according to court documents, on April 5, 2005.